Do you follow the r/entrepreneur subreddit? We here at Shopify love that space, and regularly look through it for inspiration. Last week we picked up a super helpful post by an entrepreneur who has built an amazing store. In less than a year Mr. Eric Bandholz built a business with $120,000 in monthly sales. The company is Beardbrand. And Eric spells out exactly what he did to generate revenue of this scale. His secret? Building a brand. It’s a “high priority” especially as a consumer business. And the results? With Eric’s kind permission, we excerpt parts of his post (the original is found in gray) while adding bits and pieces to supplement his advice to help make sure that merchants see the value of building a great brand. Eric is right that creating a good brand makes people more loyal. When they know and trust your products, people start to care about your work. Once you build a following, you no longer have to compete on price. You probably want to be more than simply an internet reseller, or someone whose products can easily fit in on a shelf of Walmart. For example, there are hundreds of iPad case makers. But DODOcase has marketed itself as the only company that sells iPad covers designed by bookbinders and made in San Francisco. They’ve positioned themselves brilliantly, and their cases certainly aren’t sold at Walmart prices. And yes, it’s much easier for your marketing to go viral if you’re easily identified and people are able to associate something (anything!) about you. You can only hope for virality if people want to share out your content. And people will only share the stuff they care about. Building a brand enables you to tell a story about what makes your business remarkable – something people can connect with on an emotional level. Finally, Eric is right to note that the valuation of your company is higher if you have a good brand. In fact, financial analysts have a precise way to measure the value of a brand. It's listed as an “Intangible Asset.” Intangible assets are calculated as the difference between what your company would sell for and how much your company’s total tangible assets are worth. Brand is a significant part of that remainder. It pays to have a brand, and we can’t stress this enough. This is especially true if you’re running an independent store, online or offline. You can’t just sell clothing identical to what you’d find at Macy’s, or fudge that tastes the same as what you’d find at Whole Foods. People are looking for something different when they buy from independent shops. You can’t compete with the big-box stores on price, so go for differentiation through products and customer experience. If you offer a product not much different than something that can be found on Walmart, it’s really hard to get them to buy from you when Walmart is down the street, easy to buy from, and probably offers a lower price. Use your brand to tell a story, and to uniquely position your products in the minds of your customers. First you will want to commit to building a brand, and all the challenges that presents. You will have to be prepared to say "no" and stick to your guns. Inconsistency is the death to brands. Spend a lot of time up front to truly understand what you want to be and how you want to present your company. You certainly don’t want to oscillate on your message to customers about your product. Do spend the time and effort figuring out exactly what you want to say. Once you start marketing, stick to the message. 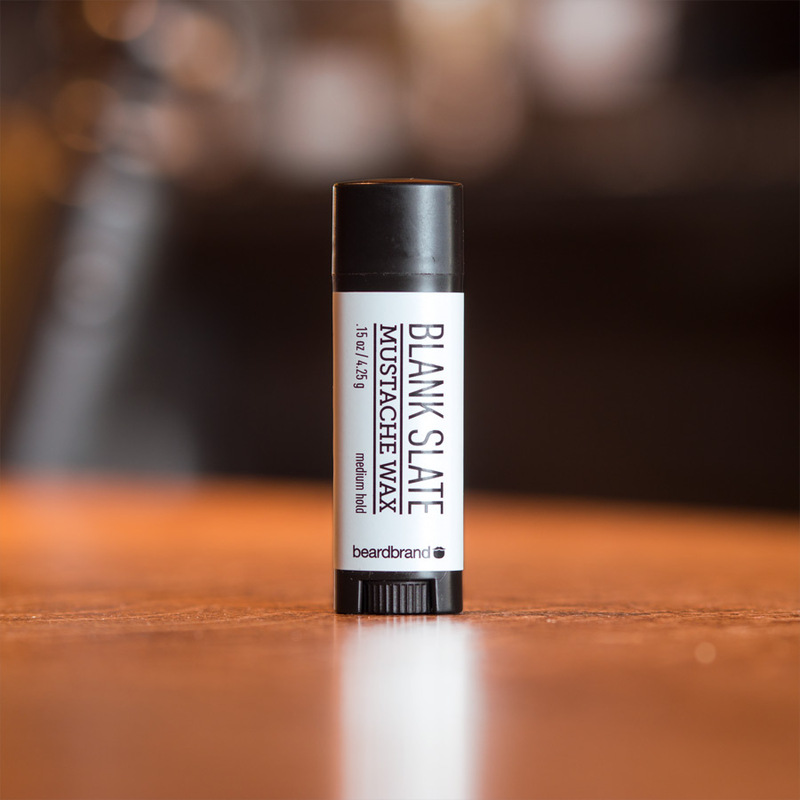 With Beardbrand we developed the term "urban beardsman" which describes a man with a beard who cares about their style, their grooming habits, and who has a plan and a vision with their personal life. Traditionally beardsmen were thought of as hippies, bikers, outdoorsmen, or homeless folks. We wanted to unite people who didn't feel like they fit those labels. To get this rolling we place an emphasis on design and branding. Our logo is simple and clean. Our primary colors are black and white and secondary color is cyan. We have had our tagline front and center on our store since we created it. Fortunately, I am a self taught designer and have implemented a lot of our designs. If you do not have those skills, you will need to invest in a quality designer. Most likely you won't find those at Fiverr, 99 designs, or any of those spec work places. Try instead to search for them via Dribbble, /r/graphic_design, your local AIGA club, or other places designers like to hang out. Plan on establishing a relationship with a designer you can trust and work with. You'll want to send all (or at least a majority of) your designs to them so that you create brand consistency. All designers have different styles, and like I said before; inconsistency a roadblock to building a quality brand. A good designer can also help you with brand guidelines to keep you and others on track. It's essentially a blueprint on how to keep things consistent. A great brand needs distinctive design, not something hastily put together by someone using Photoshop for the first time ever. It’s not just the logo that needs design work. There’s quite a lot to figure out, including how your site will look and feel; the types of fonts throughout; the prominence of images on the site; and of course signage and banners if you’re running an online store. Start by getting yourself an attractive, mobile responsive theme and if you need further design assistance consider hiring a professional to help. If you’d like some help with branding in physical stores, take a look at our recent posts on physical retail. It includes tips on creating amazing window displays, and how to set up compelling street signs. Exchange is the marketplace to buy and sell websites. Browse verified revenue and traffic of established businesses for sale. First off, it's important that you walk the walk. IE; the image you are trying to create of your brand is something you actually eat, drink, sleep and live. You'll want to tie together your branding across all your channels. That means your actions, business cards, website, merchandise, advertisements, emails, marketing, etc must all be cohesive. This part is critically important. Selling a lifestyle, not just a product, is a very sophisticated form of marketing. We’re constantly inspired by merchants who have built products around their lifestyle. Jess Brumpton started Three Little Birds, a boutique clothing store, after a trip to Bali. She now runs it out of a beach shack in Western Australia. And we also love the work of Chris Tsang, who started Mindzai out of his passion for toys and creative design. These are amazing businesses built on the passion for a lifestyle. 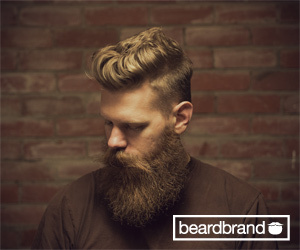 But the epitome of living your business is definitely embodied by Beardbrand. Eric is too modest to talk about his Youtube channel and doesn't go into great detail about his videos, but they're our favorite part of the Beardbrand marketing. Eric creates compelling videos on how to wear a beard and about beard maintenance. He clearly loves shooting them. Next, Eric links to some of the pages Beardbrand has created to help his customers and the media connect with his brand. To show you how we did it, here are a few elements Beardbrand has created. Each one of these are compelling pages that show what Beardbrand is about. Eric highlights Beardbrand’s Vision Page as particularly important. There’s data to back up his claims. “About” pages and “Vision” pages are the most valuable real estate you have to tell your story. And people respond to stories. Studies have found that people who visit an about page are not only more likely to buy your products, they’re also more likely to place larger orders. So: Tell a story. It’s fun, and good for sales. If you’re looking to apply Beardbrand’s recommendations for your business, we’ve collected a few resources if you’d like to learn more about creating each of the items that Eric says is useful for building a brand. To build an amazing website, check out 30 Beautiful and Creative Ecommerce Website Designs. To see how to write an amazing vision page, see: How to Write the Perfect Ecommerce About Page. Need to be better at video marketing? Here’s a collection of online businesses that create great videos, with examples. Want to learn more about ads? Here’s a guide on 5 things you have to do before you advertise on the internet. If you need some inspiration on designing a great business cards, here are 100 for you to look at. Similarly, if you don’t really know how to create a good media kit, take a look at this guide for inspiration. Finally, find out here how to design good product packaging. In addition to your brand's design and feel, your company also has a brand on how it performs. Based on our target audience, we decided to provide a premium experience to our customers. To us that means quality products, fast shipping, no hassle customer service, and no sales pressure. 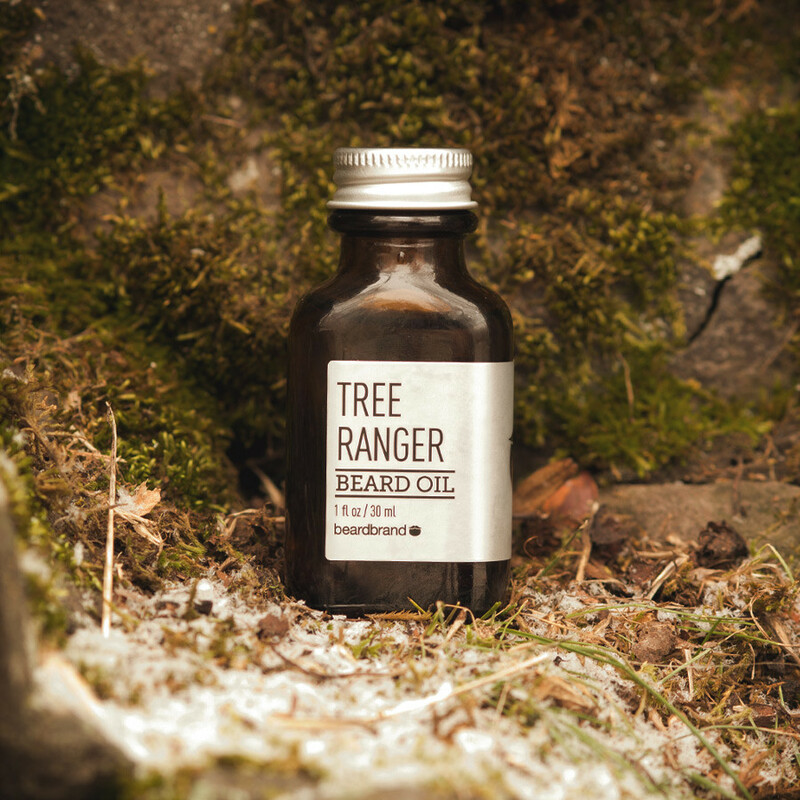 How this reflects on our business is that we are using premium oils that put beard care first, quality packaging, shipping within one business day, making things right with customers when things go wrong, and offer no discounts or sales on our store. When we attend events, trade shows, or put on parties - then we carry the same attitude and image that we portray online. We try to be as friendly as possible, not pressure anyone into anything, and have a good time. There is more to life than just selling beard products. Your brand isn’t just your logo. It’s the feeling you leave people with after they interact with you. How you treat your customers is a choice you make that affects how your customers see you, and that makes it part of your brand. This goes back to building a company around a lifestyle idea. If your community of people wouldn’t like to see something happen, then your business probably shouldn’t do it. We frequently get suggestions to do things differently. We are always have open ears (in fact made a lot of changes based on Reddit's friendly advice) but sometimes we've got to say "no" and do it for the right reason (or at least you think they are right). Here are a couple of examples. I've had multiple marketing professionals tell us that we need to put our products on sale. I stand by our viewpoint that our product is fantastic, and when people are ready to buy they will buy. Granted, we might be missing out on some opportunity; but we feel in the long run we prefer the culture of quality over immediate gratification. We use Nordstrom's and Lululemon as inspiration. We don't put advertisements on our YouTube videos. We are approaching 1 million views and I'm sure I could have had a few thousand extra dollars, but it's a more pleasureable experience not watching ads when people watch our videos. We stick to style inspiration on Facebook. In a land of 10 day old internet memes, we could exponentially grow our user base by simply posting beard meme's. While, it may slow us down in growth; it's more important for us to accurately show we are about. We market with no direct performance tracking. Some examples: We are putting a party on down in SXSW called SXBB. | We are buying ads that simply have photos of beardsmen and no call to action. | We are building an Ambassador program where we give out freebies to the select few beardsmen who really represent the image well. | Plus many other things. Eric doesn’t pretend that it’s super easy to build a brand. He’s also outlined a few difficulties to building a brand earlier in the post. Most of these challenges to building a brand boil down to the fact that it’s difficult resisting the urge to put “calls to action” everywhere you could. Beardbrand’s strategy is going after people who are proud of their beards, and realizes that not everyone wants to be sold-to all the time. But it’s highly probable that Eric has built the community that he did by not trying monetize every channel of communication. Resisting that urge to monetize is a big part of branding success. Come up with a good strategy for creating a brand. It may be hard in the beginning, but it’s definitely worth it over the long run. Make sure to take a look at the Reddit post to see questions to Eric from other entrepreneurs. He answers other questions about online marketing, PR, and on how he learned design.